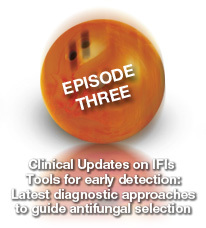 The management of invasive fungal infections (IFIs) has evolved immensely over the years, led by the development of a number of new antifungal agents and advanced diagnostic techniques that detect infections at early stages. The expanded use of antifungals (for prophylaxis, empiric or definitive treatment) has led to a global shift in etiology towards more infections caused by organisms less susceptible to commonly used antifungals. 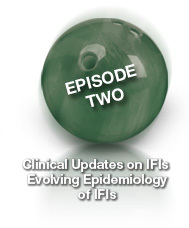 Despite advances in drug development, the incidence and mortality associated with IFIs have not changed substantially in the last 2 decades. This has led to a recent resurgence of updates to evidence-based practice guidelines for various types of fungal infections by the Infectious Diseases Society of America. 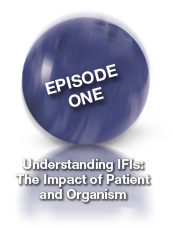 Clinicians, including physicians, pharmacists, nurses, and other allied healthcare personnel, must understand and recognize these new developments in order to accurately diagnose, evaluate, prevent, and treat IFIs. This activity is designed for Infectious Diseases physicians as well as other healthcare professionals on the frontline of managing patients with or at risk for invasive fungal infections. 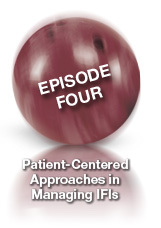 This webcast on demand is based on the CME Satellite Symposium which was held following the official programming of IDWeek 2012. This activity has been planned and implemented in accordance with the Essential Areas and policies of the Accreditation Council for Continuing Medical Education through the joint sponsorship of the Center for Independent Healthcare Education and Vemco MedEd, LLC. Center for Independent Healthcare Education (Center) is accredited by the Accreditation Council for Continuing Medical Education to provide continuing medical education for physicians. Center for Independent Healthcare Education designates this Enduring material for a maximum of 2.0 AMA PRA Category 1 Credit(s)™. Physicians should claim only the credit commensurate with the extent of their participation in the activity. For questions regarding the accreditation of this activity, please contact us at info@jointsponsor.com. Print and complete the Post Test, Evaluation, and Credit Application Form. Documentation of credit will be mailed within 4 weeks of receipt of the completed Post Test, Evaluation, and Credit Application Form. Relevant relationships include roles such as speaker, author, consultant, independent contractor (including research), employee, investor, advisory committee member, board member, review panelist, and investigator. If a potential speaker or author indicates a possible conflict of interest, the conflict will be resolved by choosing another speaker or author for that topical area, or the slides, handouts, and/or monograph will be reviewed and approved by a qualified commerically-disinterested peer. Dr. Chandrasekar does not intend to discuss the off-label use of a product. Dr. Drew does not intend to discuss the off-label use of a product. Dr. Marr does not intend to discuss the off-label use of a product. Center for Independent Healthcare Education and Vemco MedEd. from Astellas Scientific and Medical Affairs, Inc. Copyright © 2012 - 2013 Vemco MedEd, LLC. All Rights Reserved. Permission for accreditation use granted to Center for Independent Healthcare Education. Please take a few moments to take the Pre-Activity Survey.